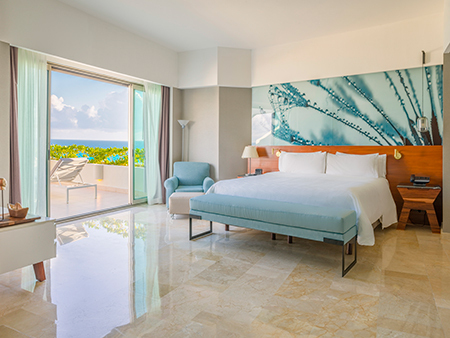 La Coleccion Resorts by Fiesta Americana recently announced the completion of Live Aqua Beach Resort Cancun’s multi-million dollar renovation. The property’s 371 fully renovated guestrooms and suites feature a blend of modern and warm elements that allow guests to personalize the ambiance of the room through the use of the aromatherapy menu or the new bedside smart consoles that control the surround sound music and lighting. 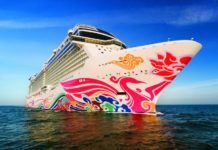 Other technological additions include three different lighting settings, centralized electrical outlets for all types of electronic gadgets, and LED screens with satellite TV. “Our guests are always at the core of what we do, and we are excited to showcase all the upgraded areas and stylish new touches we’ve added in even the smallest of details—from new technological features in guestrooms, to the tasty new menu items, and VIP-like services at our coveted Aqua Club”, said Alfredo Santamaria, general manager of Live Aqua Beach Resort Cancun, in press materials. 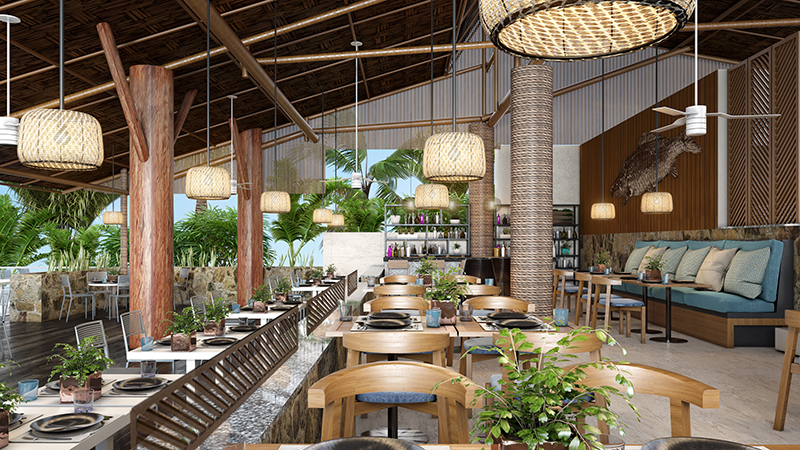 Azul is one of several recently renovated restaurants at Live Aqua Beach Resort Cancun. The resorts newly remodeled outdoor restaurants are led by executive chef Cesar Germain. With a refreshed modern look and feel, as well as new signature menus, the restaurants continue to offer both traditional and fusion dishes from around the world. The renovated venues include the Azul Restaurant, a semi-open Mayan palapa with modern decor that offers both indoor and outdoor seating; Siete, which features a new outdoor sitting area; MB, which offers a new wine cellar; the AKA bar, which features a new mixologist; and the brand new Inlaa’Kech restaurant set to open by the end of this month. Guests will also find new furniture around the property’s seven pools and beach area, plus a renovated Aqua Club on the resort’s fifth floor. For more information, visit lacoleccionresorts.com. 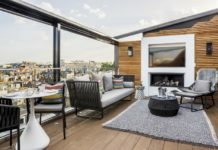 For updates on other recently renovated properties around the world, click here.